Isn't it fun to see your work at CHA?? So exciting- your projects look great!! how awesome to be able to see your work showcased in that way!! ...and to be able to attend CHA! That is so exciting its so fun to show your work to other people. How exciting to have projects at CHA! Great pages! 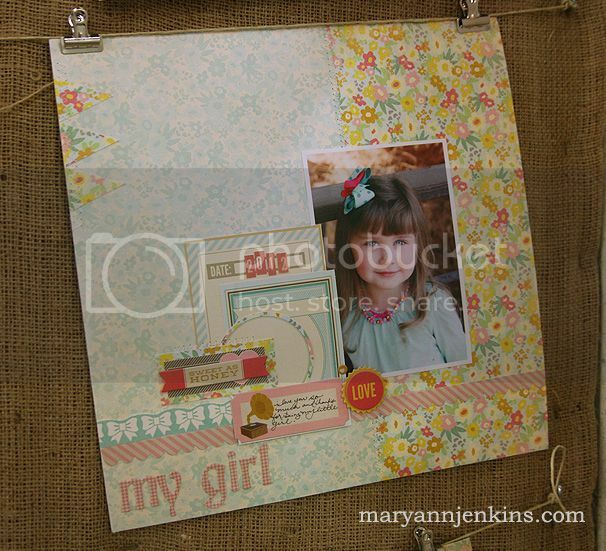 Your CHA layouts are amazing, Mary Ann!! I love those new lines. Love these layouts! The colors are beautiful and what you did with them looks wonderful. I'm usually not a fan of GCD Studios but I really like that summer line. Now I need to find a place that sells it! Great work Mary Ann!! Loving both os these!! Love your layouts. Congrats on being on display and so jealous you are there! To have any project on display at CHA is such an accomplishment! Walk proud my dear lady!